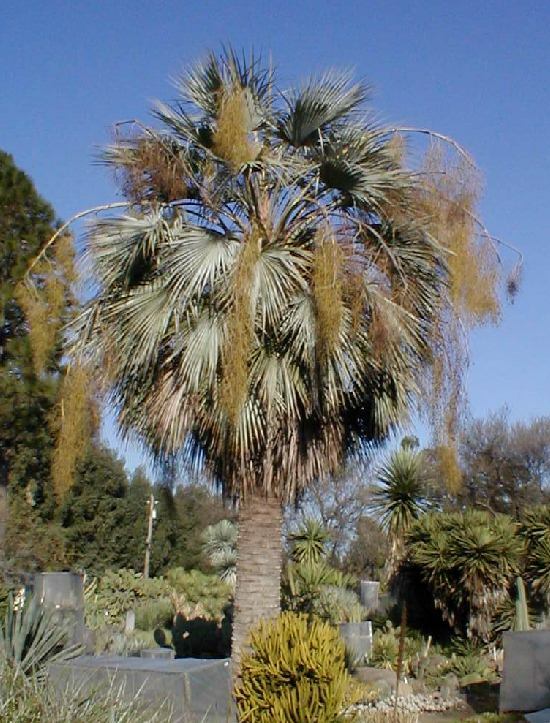 A mature Brahea armata in full flower is truly an awesome and spectacular sight to behold. Enjoying its silvery foliage glistening in the light of a full moon is an almost ethereal delight. Without a doubt it is one of the most beautiful of all palms. 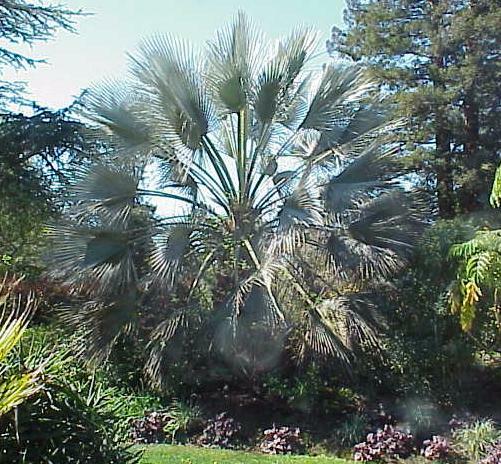 Although native to the Sonoran desert, it is adaptable to the cooler regions of the California coast, where it grows slowly but steadily. It is however, quite intolerant of warm humid regions like the Southeast, where it sulks, even though it is hardy to extreme cold in dry conditions, surviving 10-15� F. Seedlings frozen in pots at 18� F in the freeze of 1990 all survived. Keeping the crown dry during the warm Mediterranean summer is critical. Armatas have been lost due to fungal infections of the crown caused by overhead watering. 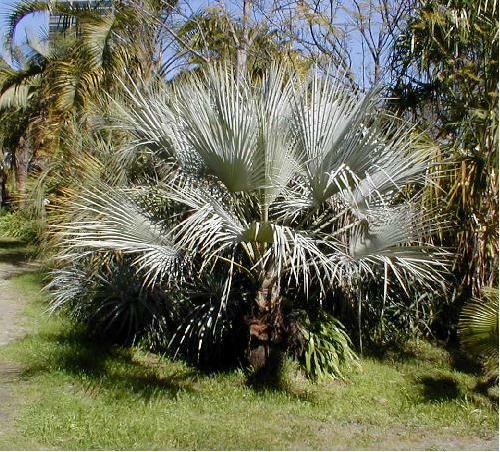 As Braheas will readily send roots as deep as they need to go to find water, established plants need no irrigation. It is probably for this reason that they resent root disturbance, and often never fully recover from being transplanted. The Ruth Bancroft specimen pictured is about 32 years old.